Yesterday, a massacre was committed in northern Syria with more than 22 martyrs and tens of wounded, and hasn’t made it to the headlines in any western or Arabic media platform. The two villages” Kafarya &foua” have been under siege since the beginning of the crisis, more than four years ago, preserving one safe-access road, which kept life ongoing in the villages, whilst barely permitting residents to leave the villages. 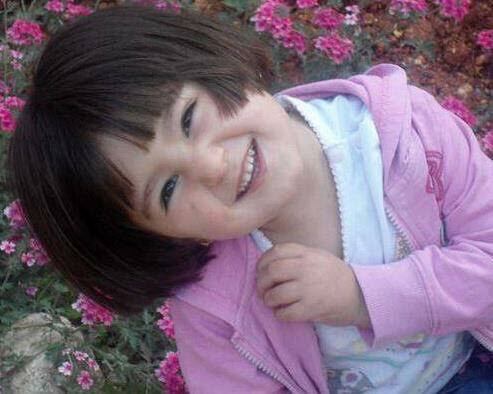 More than four months ago, and when the Syrian Army lost Idlib to the Terrorists and withdrew from its bases in the province, the villages fell under a complete siege from Jabhat Al-Nusra and its allies on 23/3/2015. 138 days of siege, with no water, electricity, communications, or medical & food supplies. And while the terrorists carry out almost daily rocket attacks against the residents, leaving dozens of martyrs and wounded, the injured are often left without any medical treatment. During the last week of July 2015, The terrorists launched a unified attack on the two villages which they entitled, “The Battle of liberating Kafarya & Foua”, and ever since, the rocket attacks have become more frequent and aggressive (500 kg rockets) accompanied by attempted ground invasions of the villages by thousands of militia. 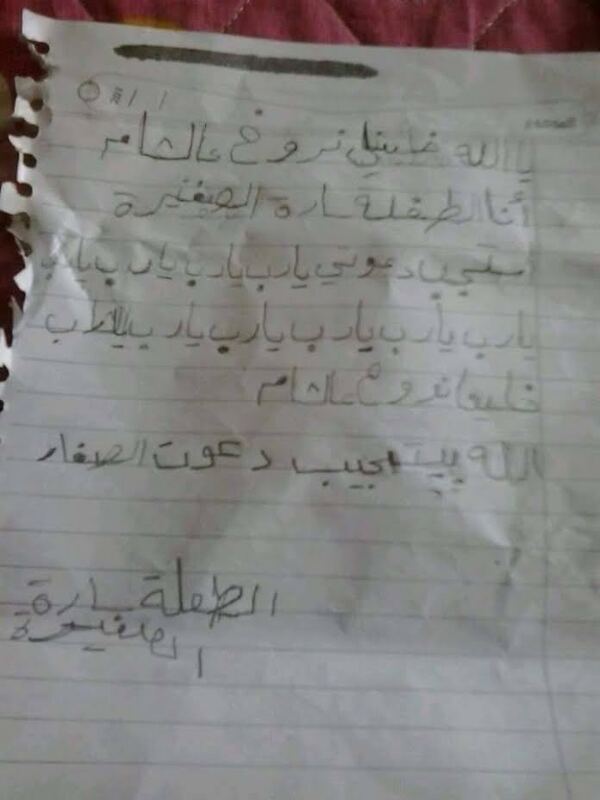 Yesterday, in the most brutal attack yet, launched by the terrorists since the beginning of the Syrian Crisis against Kafarya & Foua, the residents announced 22 civilian Martyrs (mostly children) and dozens of wounded, with more than 1500 shell hitting their neighbourhoods. A tunnel had been dug under the villagers and this was packed with 15T of explosives and detonated [see video filmed by Al Nusra media]. Finally one of their suicide bombers strapped significant explosive to their body and blew themselves up injuring more innocent civilians. The village defences have some reinforcement from Hezbollah and approximately 4000 Syrian NDF volunteer forces. Still photo of the detonation of 15T TNT packed into terrorist tunnel beneath Kafarya and Foua. Until now the residents have managed to thwart the attempts of invasion, but now the clear and imminent threat of invasion strikes terror into their hearts as they are only too aware that successful ground invasion will result in the massacre of civilians in their homes. To activists like us all, the righteous causes always represent a duty that we try to advocate and do all we can to contribute to it, but when we have direct ties to the matter we feel that it is yet more obligatory that we answer the call of help. Our devoted brother Mohammad Alabed [Global Campaign to Return to Palestine] who has always put the righteous cause of Palestine over everything else in his life, is originally from Kafarya & Foua. His sisters and brothers, his entire family are under siege there and live under constant threat of death or kidnap. Help us advocate the cause so that the media starts spreading awareness regarding their situation in order to put more pressure to ensure a military effort to liberate them from the terrorist forces. 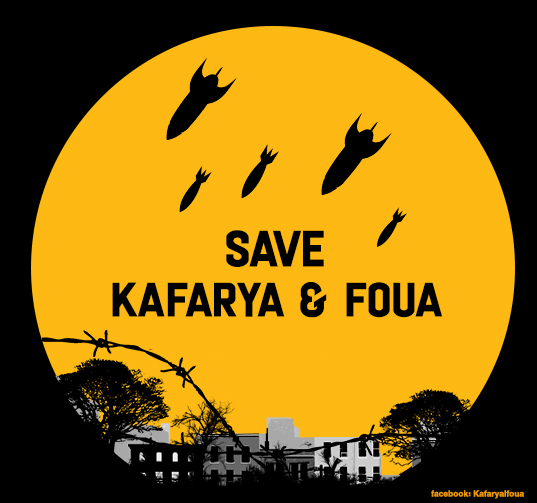 Please spread the save Kafarya and Foua memes so as to raise awareness of this horrific and terrifying situation for the residents of these marooned and besieged villages. August 11, 2015 in Syria. Thank you dear Vanessa for this update. These terrorists were aided and supported by “states terrorists” and imperialist circle from USA to France along side the regional agents form the like Turkey, Saudi Arabia and Qatar states USA, They all have the Syrians, Iraqis and Lebanese blood on their hands, Sara and all the children over there will one day look the world in the eye and say ” your killed our childhoods, our fathers, mothers, siblings and destroyed our countries. History, god and us will not forget and would not forgive”. All these innocent children are watching their world from a better place and weeping for those left behind to endure the Hell that humanity has created on earth. May God forgive us all for the mess we have made of His creation.